A week of Taiji and Meditation with Dharmamudra (Peter Dobson) and Nagamudra at Dhanakosa Retreat Centre in the southern part of the Scottish Highlands on the shores of Loch Voil. Booking via Dhanakosa website. Suitable for complete beginners and regular students. 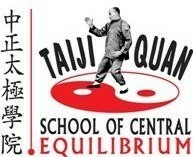 A great way to learn and deepen the practice of Taiji.